It’s not every day that you get to work on a set with a massive robot and actors in space suits walking around. 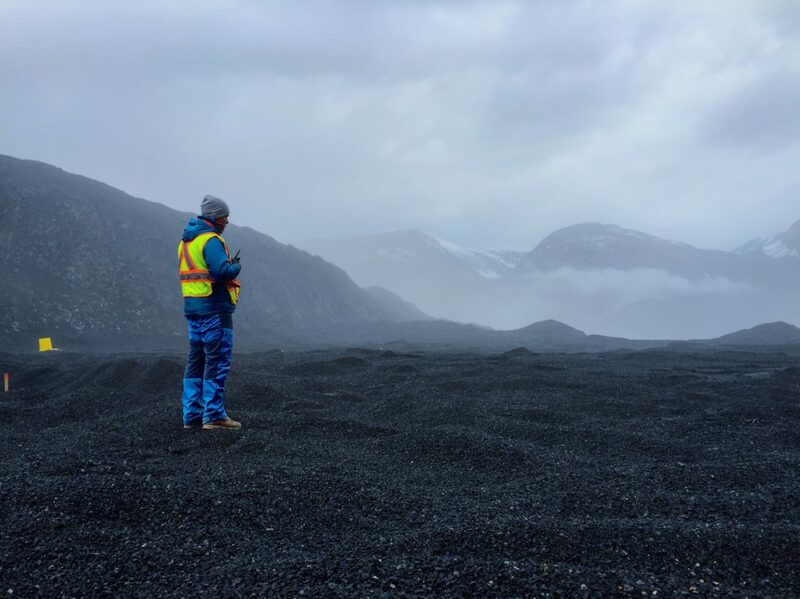 During the production of the Netflix show “Lost in Space”, that’s exactly what DIT Chris Bolton experienced. As main unit DIT, Chris visualized the defined look of the show on set already. He also made sure that the other units received the look information and camera specs required to ensure consistency across the shoot. In the following interview he shares some thoughts, and explains why for him as a Sci-Fi fan this production was particularly memorable. Hi Chris, nice to meet you and thanks for doing the interview with us! To start off, could you give us a quick introduction of yourself? Hi Pomfort thanks for reaching out. 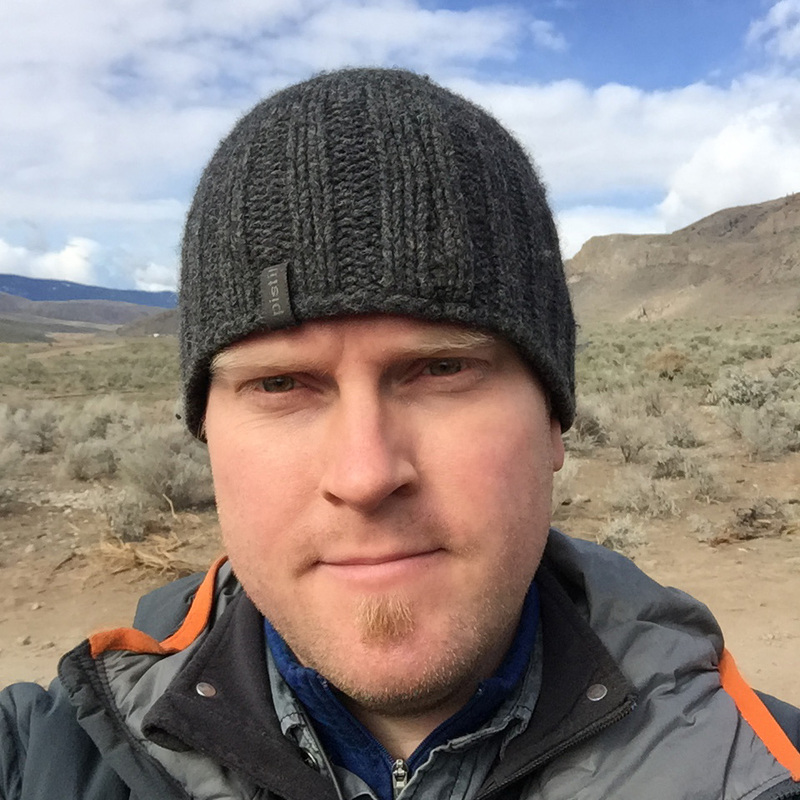 My name is Chris Bolton, I am a DIT based out of Vancouver, Canada. 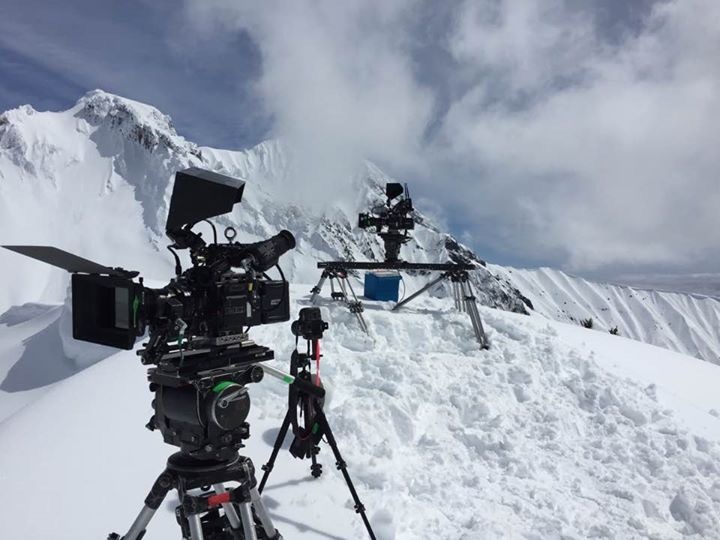 I have been working in and around the motion picture industry since 2000, I started off in camera and also worked for camera houses as a camera technician for established companies like Clairmont camera. After a stint with them I branched out and became a DIT in 2011 and have been a full time Digital Imaging Technician ever since. 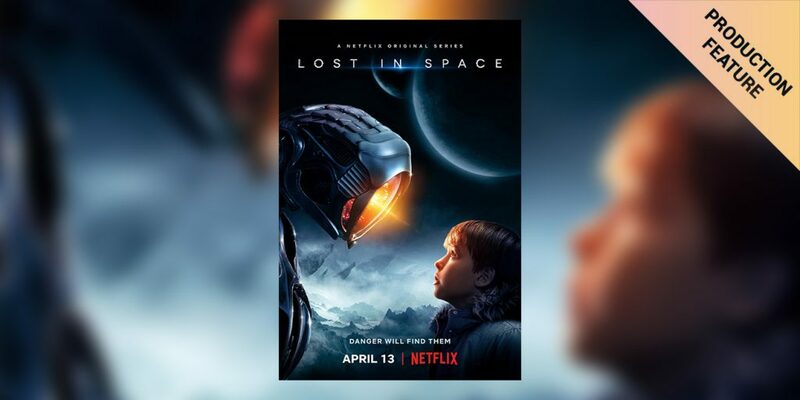 You worked as DIT on the Netflix production “Lost in Space”. How did you become part of the project? I was approached by a local Production Manager about doing the show several months out from principle photography. After a couple conversations about the scope of the production, and being green lit by Netflix, I was interviewed by amazingly talented London based Sam McCurdy, BSC. After a couple of short conversations it appeared we were on the same train of thought and started collaborating on the visual cues and tones of the show. To start we had a lot of conversations on how to make the image feel in some occasions that we felt like we were in space, and other times that we were witnessing the end of the world. 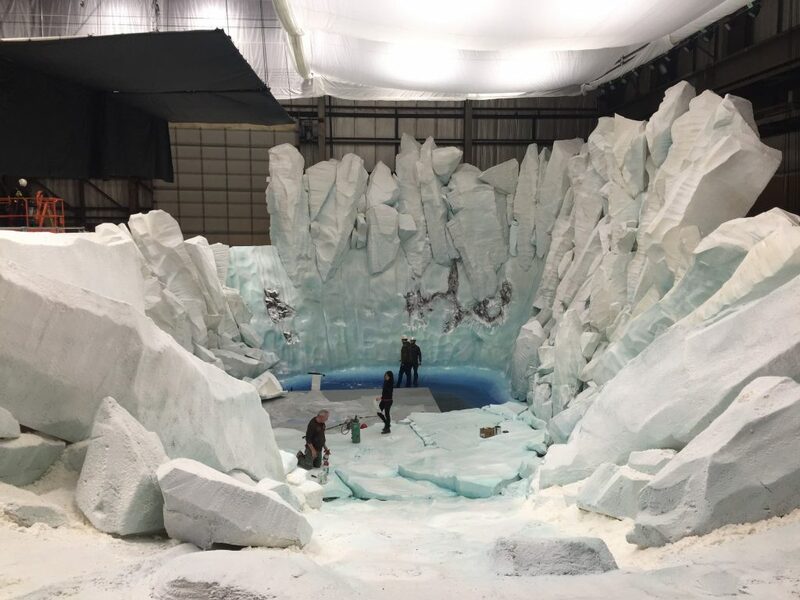 We had joint conversations with the Production Designer Ross Dempster, show runner Zack Estrin, VFX, and executive producers, along with our gaffer Todd Lapp and other key roles to test out sets, costumes, and camera lens package to get the best look for the project. I think needless to say it came out beautifully. We certainly had one of the best crews I have ever seen for dramatic episodic. During all our testing I had many conversations with the show post producer Scott Schofield about how to best deal with the amount of footage all the units would shoot on the newly introduced RED Weapon Helium cameras. It would be a lot as we ended up shooting 7.5K at 5:1 compression so the backup raid and post delivery drives had to be able to keep up. How long was shooting for “Lost in Space” and what were the main locations? 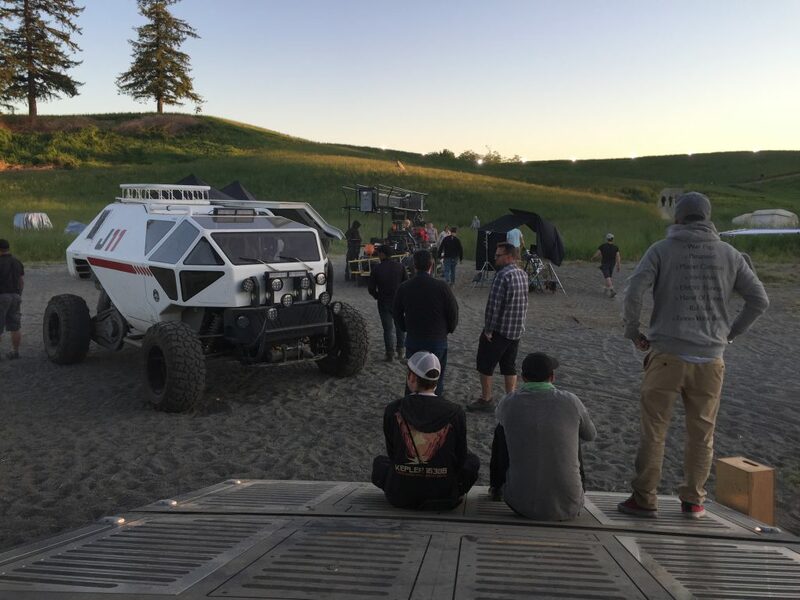 “Lost in Space” was shot over a period of six and a half months all over British Columbia. Our primary stages were in Vancouver with 3 separate stages. One of them being the Bridge FX stage which can house 4 massive sets at a time. 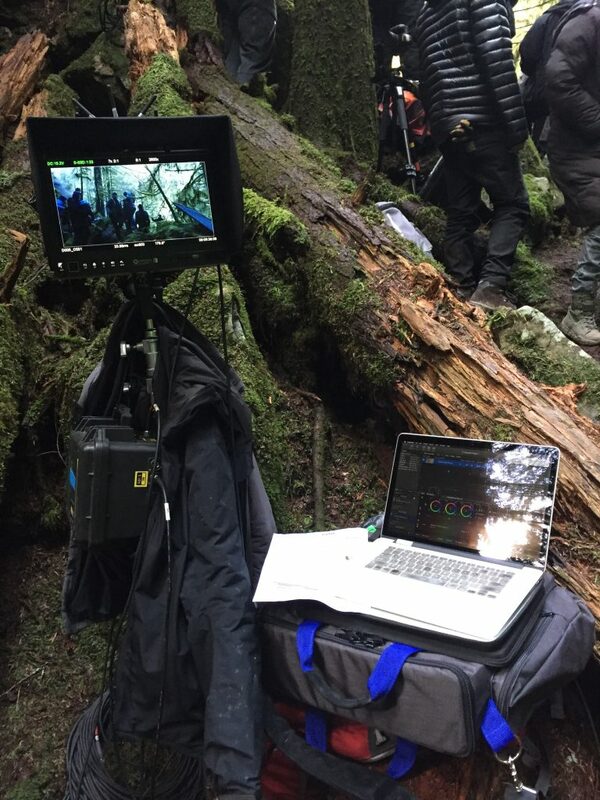 Our 2nd unit that did all the mountain work was in locations near Whistler and Hope, BC, and they later traveled to a desert location near Kamloops. 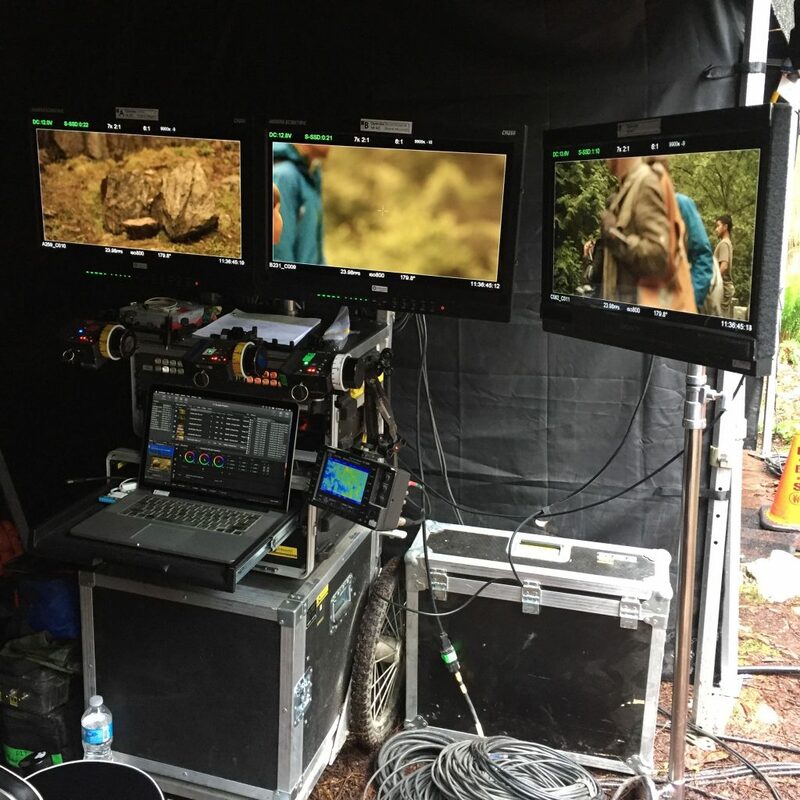 Main unit did a lot of locations near Squamish and a permanent outdoor set about 40 minutes from Vancouver in the Lower Seymour Conservation Reserve. What was one ‘typical’ shooting day on the project like? We had two modes on this shoot. Easy access studio locations and hard to reach remote locations. 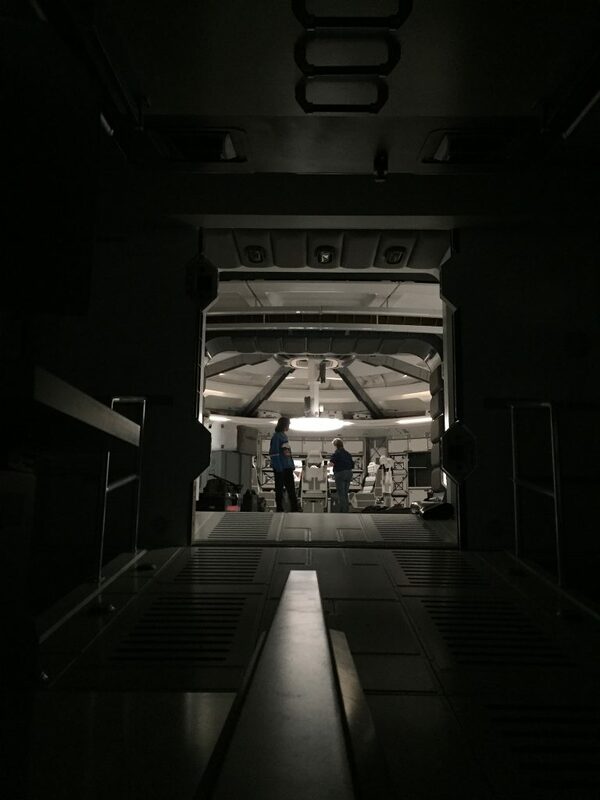 In the studio we had beautifully crafted space ship sets where almost everything was practice. Including the robot. One of the coolest things was seeing cast walking around in space suits and a massive robot walking around set. It was pretty easy to see what the show was going to look like. We had two full time camera crews for A and B camera and would bring in a C Camera crew on and off. All the cameras were wireless whenever possible, and we had 3 separate video villages. One of them being my DIT cart for the DIT and VFX departments, one for the director right on set, and one for producers and the other departments off set. Our talented Justin Johns took care of most of the monitors and we had a good collaboration to make sure we always had picture where ever we were with the least amount of delay. On days we were on location it could be full blown setups like what we had in studio or very low-fi setups for locations where carts couldn’t go. The goal of the show was to keep using locations that haven’t been used on other shows and to shoot it like a feature project. Netflix has a mandate of acquiring its content in UHD or DCP 4K with the least amount of compression as could be afforded. Because we where shooting standard RED .R3D raw files the Pomfort software just worked. Initially it was suggested that we should have a Dolby Pulsar monitor on set to preview HDR, but after some looking into the practicality of doing this and the price, it was decided to build out look in a proper theatre then dummy it down to SDR for on set monitoring. The only difference was adapting an older color workflow from the Dragon sensors to the new Helium sensor. This was accomplished through tests and modification of the LUT to suit the show. IPP2 was still in Beta so Netflix and post were not ready to jump on it yet. In the end we shot WideCameraRGB color space and RLF for our monitor outputs and RAW decode. It seemed to work out very well. A big thing that made everything run smoothly was documenting every shot and look. This was easy to share using the Silverstack library export and the LiveGrade Pro look export options. Additionally being able to take LOG captures from the FSI Box IO’s right into LiveGrade Pro was very useful. So the show was shot on RED cameras. Which ones in particular were used? And which LUT boxes / devices did you work with? Our main unit was comprised of 3 RED Weapon Helium bodies with Leica Summilux lenses. Our 2nd unit had 2 RED Weapons and we had an additional 3rd unit shooting from time to time with a single camera. We had a secret sauce of filters to help aid the look to give the show an edgier look. My main DIT cart was comprised of 2 ,or 3 at times, FSI CM-250 OLED panels, 4 x BOX IO’s for applying looks to the monitors and for taking frame grabs right into LiveGrade Pro. We also had a couple of Teradek Colr boxes for quick splinter units. All of our monitors where calibrated to the REC709 JUDD offset standard. With up to 6 cameras rolling it is needless to say communication was very important between units. Let’s talk a bit about collaboration and communication: How was collaboration between yourself and the DP? And also with the Post-house? Once the look of the show was established it was all about creating the look onset in collaboration with the DP, and communicating using the comments tab for any special notes from the DP that couldn’t be executed by us on set and needed to be passed on to the Finishing Colorist. 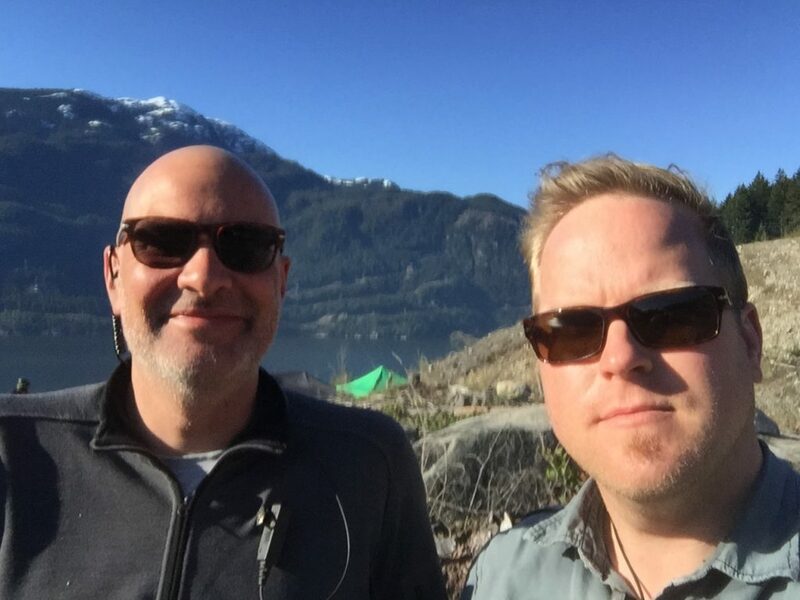 With dallies in Vancouver and editorial in Los Angeles, generating lots of detailed notes and generating accurate reference grabs is critical. Post was very happy with all the information that Silverstack and LiveGrade Pro could provide in its reports just in case any questions ever came up down the road. How was your overall workflow with LiveGrade Pro and Silverstack like? Both Silverstack and LiveGrade Pro have been at the core of all my feature, episodic and commercial workflows for many years now ever since Pomfort first released the first versions of each software. With LiveGrade Pro it was important to keep a comprehensive library of looks and associated stills that could be shared with DITs on the other units. With the ability to take LOG stills with the look applied by way of metadata it was possible to also retroactively update reference stills with updated looks after we shot the scenes. In some cases I used the library look package in Silverstack to render out some reference videos for set use or to send to VFX to confirm that everything worked in the VFX world. Silverstack was used for all the media backup. 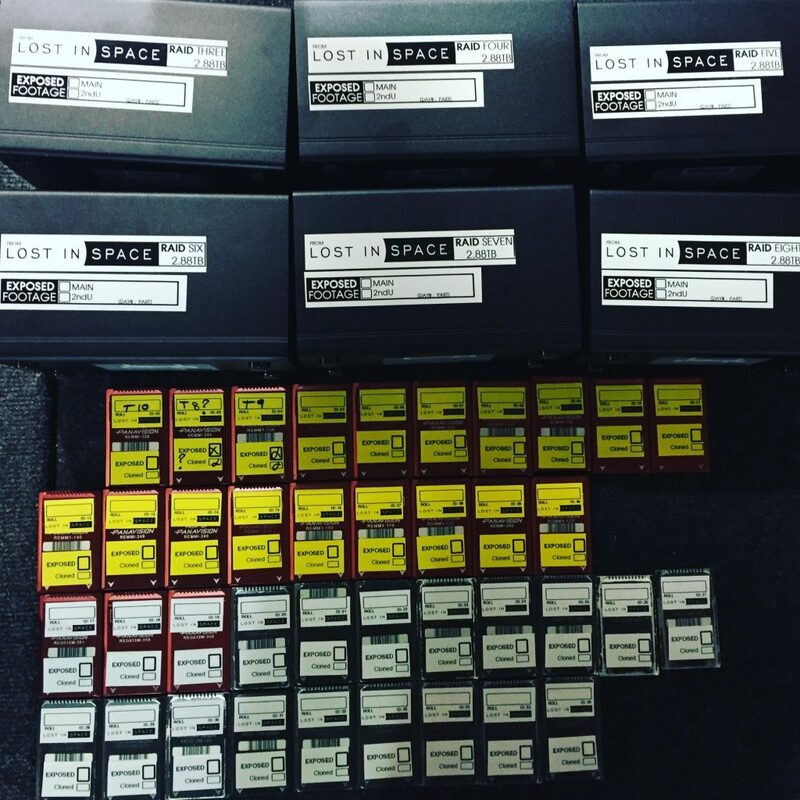 We did transfers to an on-set 32TB RAID 5 array and some smaller 4TB SSD raids for delivery to Encore/Delux. Because the post house uses MD5 as part of their rsync backup process we had to use that checksum method as part of our workflow. Fortunately with R3D fields on FAT32 it didn’t seem too much faster to use xxHash for that specific checksum protocol. The other very important use of Silverstack was sharing shooting specs from the camera footage to the other units for scenes that they had to match to. Also it was valuable being able to import Silverstack libraries from the other units to keep track of how they shot scenes that effected main unit later on. Any way to make communication more streamlined and standard to better. Were there any special or challenging setups for LiveGrade Pro and / or Silverstack? With Lost In Space the workflows just worked out of the gate. Since RED Cameras including the new RED Helium were supported very quickly this didn’t really mean any challenging setups when it came to the software, which is great. Gear wise I had two separate DIT systems that allowed for studio and remote setups. Also with splinter units going all the time it was nice to have wireless LUT boxes that LiveGrade Pro could communicate with, so I didn’t always have to be wired in. 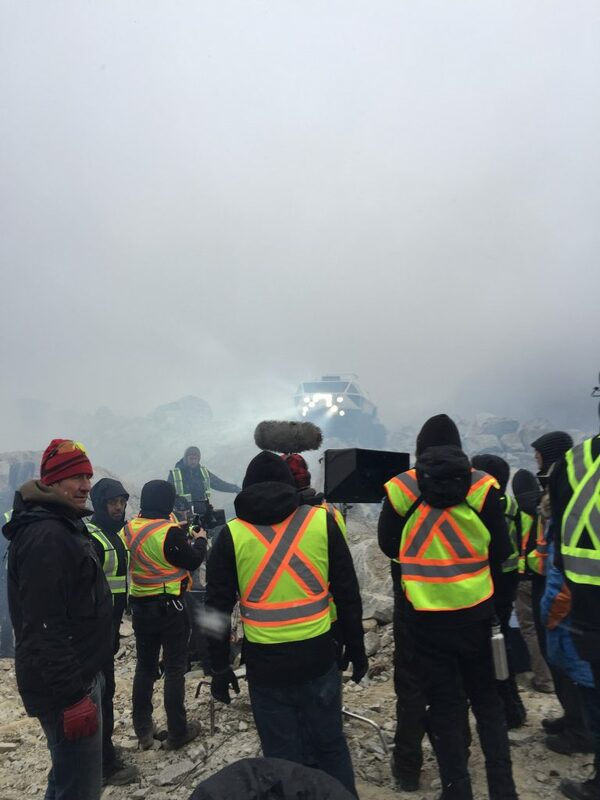 I think the thing I really loved about this job other than the great cast and crew was the amazing sets. I am a big fan of Sci-Fi so getting to work on functional sets based on what could be possible in the near future was really a treat. Also the massive robot walking around the set most days really made it believable. Thank you for sharing these insights, and for making it possible to share such awesome photos! Thanks Pomfort for all your great products and thanks for asking me to talk about Lost In Space! DIT Chris Bolton is based out of Vancouver, BC. He has been working as DIT since 2011 on feature films and TV series. Some of his projects include "Welcome to Marwen", "Deadpool", and "Maze Runner: The Death Cure".